Terry, aged 77, lives at home in a small retirement village in Croydon. A keen movie buff since his youth, his hallway is lined with photos from classic Hollywood films. In the kitchen, Anna his carer from Benetas, is busy preparing meals for the next fortnight. Terry was first introduced to Benetas when his wife Bev received an aged care package following a range of illnesses. “We had an interview and they made an assessment. Benetas said they would provide home and personal care for Bev, as well as respite care, which meant someone would sit with her while I had a break,” Terry says. Sadly, in 2015, Bev passed away. “Benetas looked at me and said you need some support due to the constant care and attention. We’re going to provide you with a small package”. The care that Terry receives helps fill in the gaps as he gets older. In addition to cooking, he receives cleaning, gardening and assistance with shopping every fortnight. “If I didn’t have Benetas, there’d be awful gaps in my life because I wouldn’t be getting that help. I’d have to do my own cooking or get Meals on Wheels, do my own housework, and my own shopping. It would cause a bit of hardship,” says Terry. He describes his case manager, Linda Crockett, as a very kind and caring person. The staff they have at Benetas at the moment are the best they’ve had in my time... Having Benetas behind me has been a wonderful experience. Recently, Terry started receiving computer lessons arranged through Benetas every week. “Linda said to me – is there anything else you need to make your life complete? I said my daughter has been telling me I need a computer and she is going to get me a laptop,” Terry says, mentioning he can now email and use the printer. Terry is also the recipient of a Benetas One Wish, where clients apply to do something they’ve never done before. “Bev and I did talk about going to New Zealand. Unfortunately, her ill health meant we couldn’t do it”. Benetas paid the airfares and accommodation and Terry provided the spending money. “I went to the South Island. I loved the glow worm cave and met some nice people”. Terry keeps an active social life by catching up with friends and participating in a number of clubs. He is a member of a University of the Third Age movie group, the local Probus, as well as the International Sinatra, Bing Crosby and Doris Day Societies. Each month, he attends lunches at the Knox Club arranged through Benetas. This allows him to catch up with people, including carers who used to look after his wife. 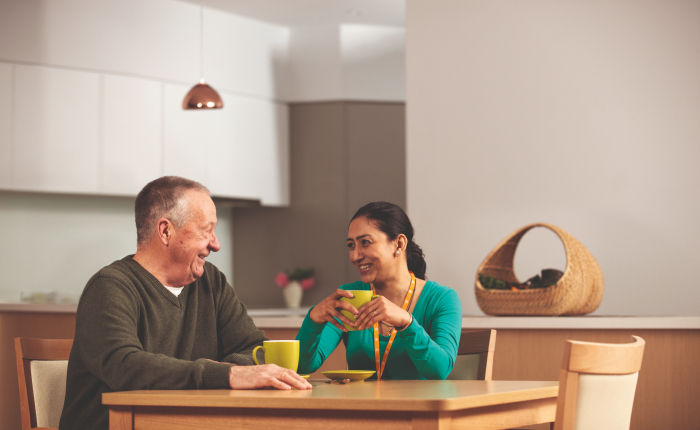 See Terry in action in our Home care services that help people stay at home for longer. Need help navigating the Home Care system? 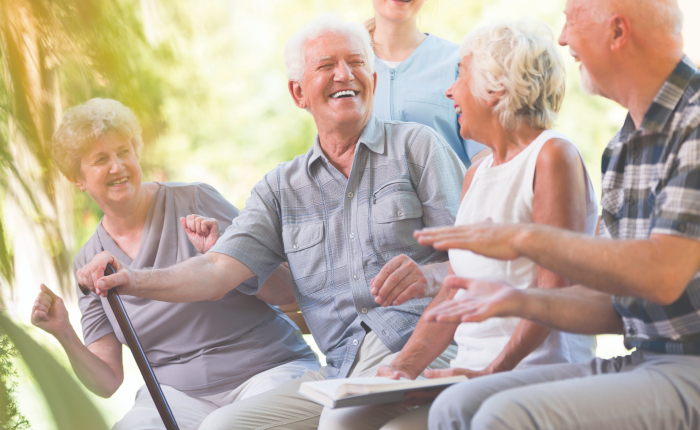 Home care services can connect you with your community – here’s how. The My Aged Care home care package system can be complex to navigate. We hope to make the process a little clearer for you.